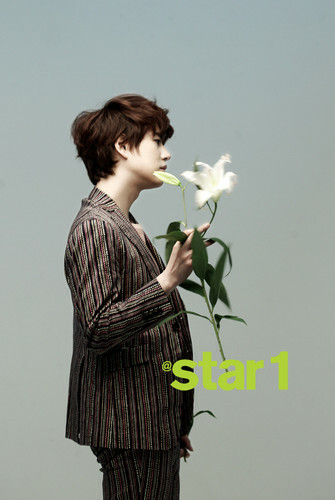 130305 @Star1 Official facebook Update with Super Junior K.R.Y. . Wallpaper and background images in the super junior club tagged: super junior kyuhyun yesung ryeowook. This super junior photo might contain ramo, ramillete, ramillete de flores, ramo de flores, kimono, albaricoque japonés, mei, and prunus mume.